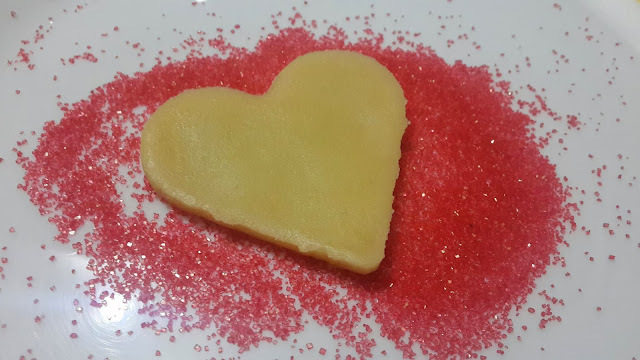 Valentines is over, as well as February for this year, but it's not an excuse to toughen up our hearts. 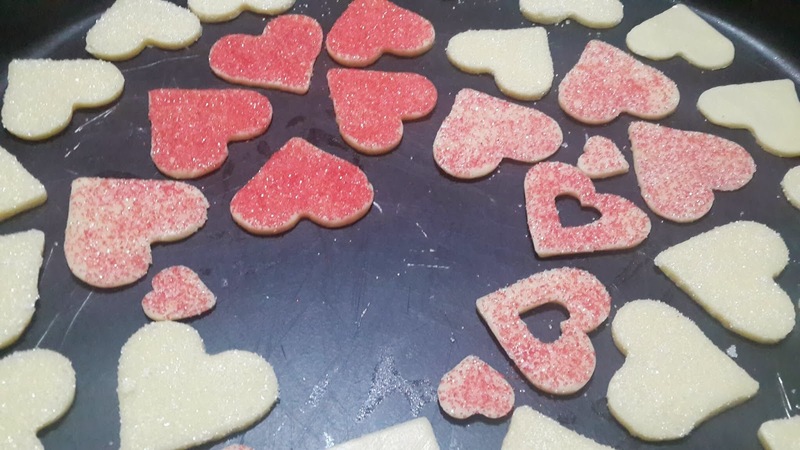 These love cookies are even the perfect excuse to being romantic! 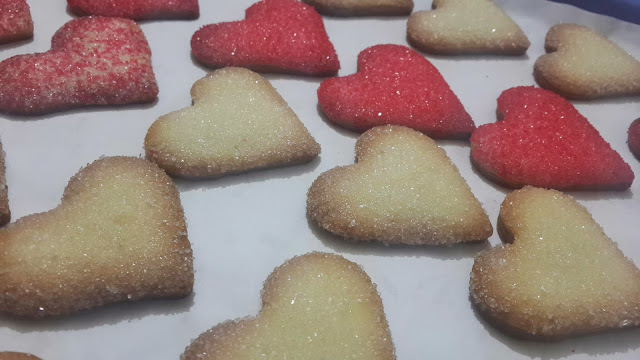 So bake some to your loved ones! 4- Before finishing to pour in the flour, add the eggs with the vanilla and a pinch of salt. 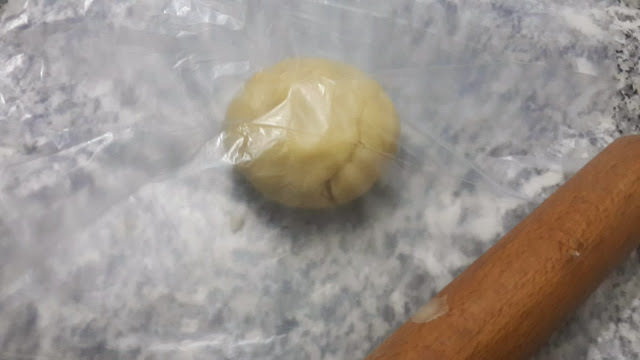 5- Knead the dough with the help of a food processor. 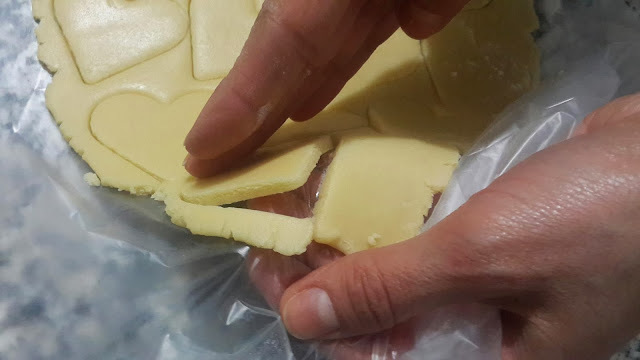 6- Form the dough into a ball and place the ball in between the pastry sheets. 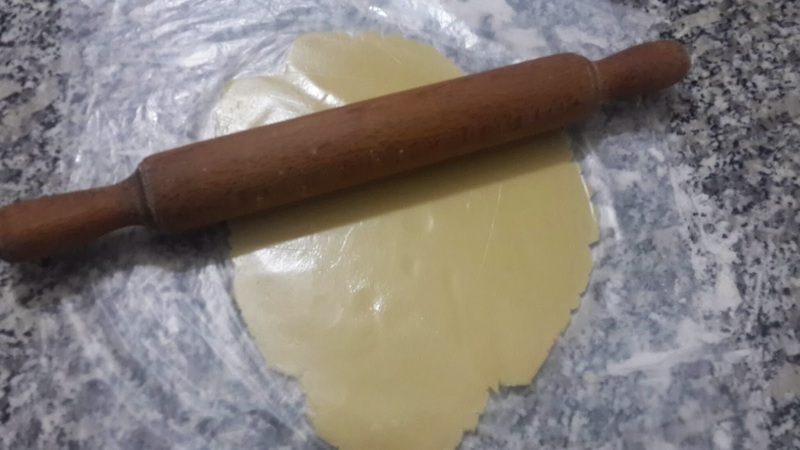 7- Roll the pastry from the middle upwards, then the middle downwards. This helps to roll the pastry out evenly. 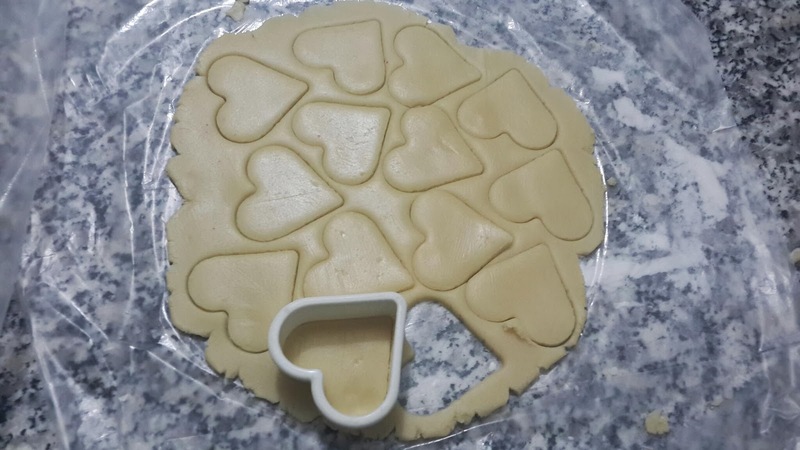 8- Cut the dough with the heart-shaped stencil. Remove the heart biscuits by pressing on the pastry sheet below. 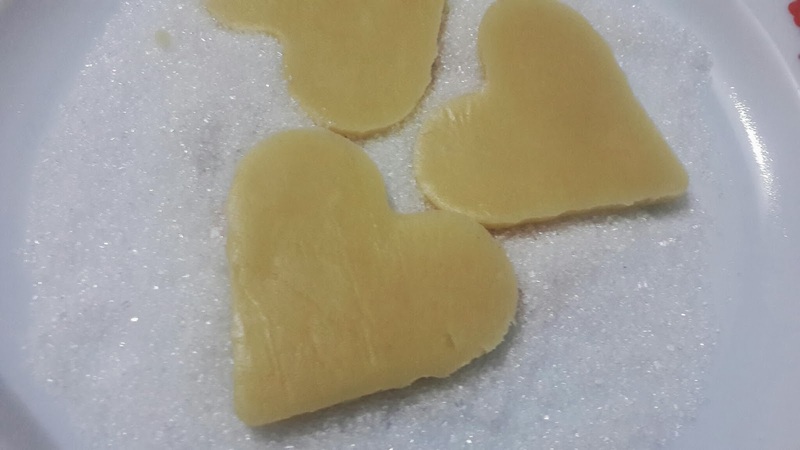 9- Put some sugar on a hollow plate and press the raw biscuits to make the sugar stick on them. 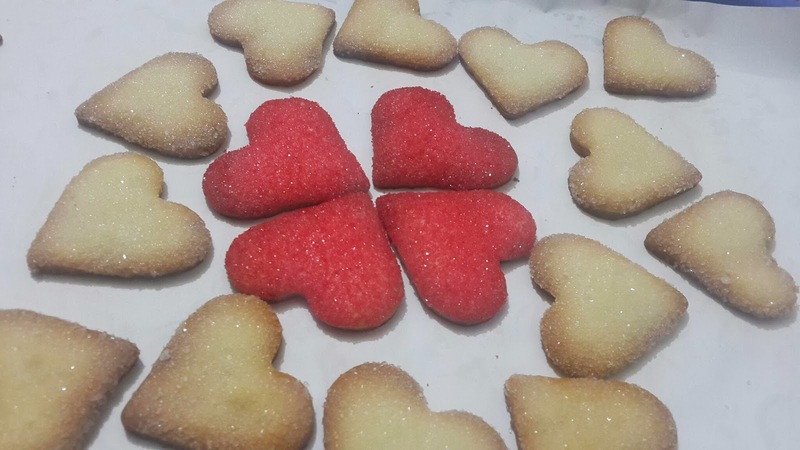 10- Place delicately on the baking mould and bake for about 10 to 15 minutes.